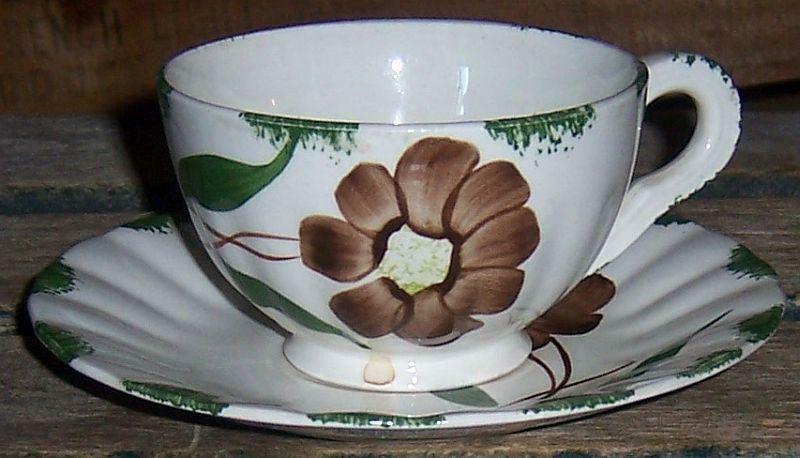 Blue Ridge Pottery Colonial Shape Amanda Pattern Cup and Saucer. Brown Flower with Green Trim. Saucer is 6" across, Cup is 2 1/2" high and 3 1/2" across. Good condition. Items Similar To "Blue Ridge Pottery Colonial Shape Amanda Pattern Cup and Saucer B..."